Russian President Vladimir Putin and his Turkish counterpart, Recep Tayip Erdogan, discussed the possibility of meeting in person during a phone conversation, the Kremlin said. The meeting would be their first since Moscow-Ankara relations soured after the downing of a Russian jet over Syria. 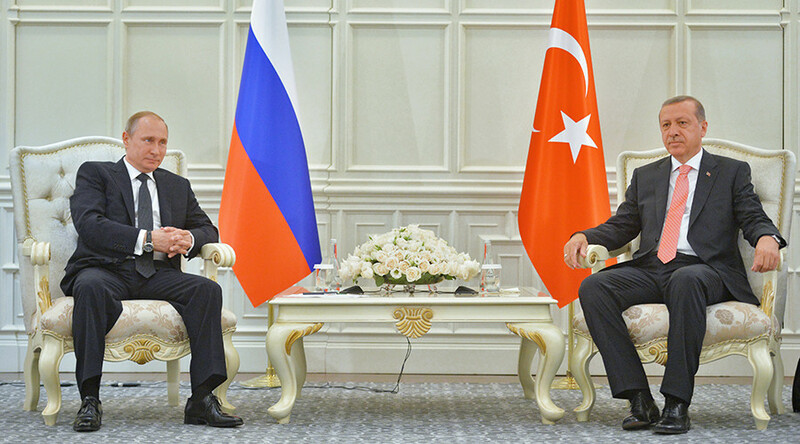 “The Russian and Turkish presidents agreed to explore the possibility of having personal meeting…” the Kremlin said in a statement. The possibility of a face to face meeting taking place has also been confirmed by Erdogan’s press service. Vladimir Putin said that the message he had received from Turkey’s President earlier created the conditions “to turn the crisis page in bilateral relations” between the two countries, the Kremlin said. Both sides may “start a process of resuming collaboration on international and regional issues, as well as the development Russian-Turkish relations,” the statement added. 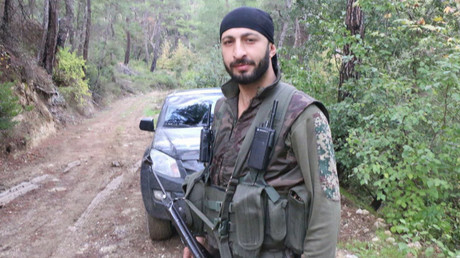 President Putin also “expressed hope” that the investigation recently launched into the guilt of the Turkish citizen accused of killing a Russian pilot “will be objective,” according to the statement. The Russian president also expressed hope that the Turkish government would take extra steps “to ensure the security of Russian citizens” in Turkey. Erdogan confirmed reports of a possible meeting with Putin during the G20 summit in China on September 4-5. "Our talks were really beneficial for both countries. We decided to meet in September on the sidelines of G20 in China," Erdogan said. Earlier on Wednesday Russian President Vladimir Putin expressed condolences to the Turkish nation over the terror attack at Istanbul Ataturk Airport, which according to the latest information killed at least 41 people and injured 239 others. “We regret and express sympathy for the victims of the terrorist attack that took place yesterday [June 28],” Putin said. The phone conversation, which lasted at least 40 minutes according to the sources, was the first since Russia-Turkey relations became strained by the downing of a Russian jet over Syria in November of 2015. A pilot died when he was shot while parachuting to the ground and a marine was killed in action during a rescue mission to save the surviving co-pilot. Putin called the act a blatant “stab in the back,” and Russia imposed economic sanctions on Turkey restricting agricultural exports and tourism soon after. On Monday, Erdogan sent a letter to Putin to offer “his deep sympathy and condolences to the relatives of the deceased Russian pilot and said ‘sorry,’” Kremlin spokesman Dmitry Peskov said. In his letter, the Turkish leader called Russia Ankara’s “friend and a strategic partner,” with which Turkey would not want to spoil relations.